BELGIUM vending machine suppliers located! 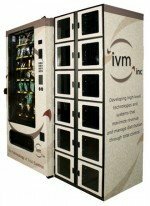 Vending Machines which may include; Candy, Gumball, Snack, Soda, Drinks, Food, Deli, Healthy vending machines, Micro Markets, Amusement Games and repair services & more! Belgium Gaming Technology – BGT Sells Refurbished, repaired and used slot machines. A full service corporation specialized in slot machines. Gent, Belgium. AUTOBAR BELGIUM biedt u, als een van de marktleiders en specialist op het gebied van automaten en producten, de ruimst mogelijke keuze warme- en koude drankautomaten, voedselautomaten, Snackautomaten. Brussel, Belgium. CBG is the manufacturer of the Brabo Vendor, suitable for nut, gum and capsules and the distributor for Beaver and Northwestern machines. CBG is also the exclusive European distributor for ZEDCandy vending products. We supply empty and filled capsules from 26mm up to 100mm as well as bulk jewellery, toys and a wide range of bouncing balls. Antwerpen, Belgium. Vending Benelux – Belgium vending equipment suppliers.